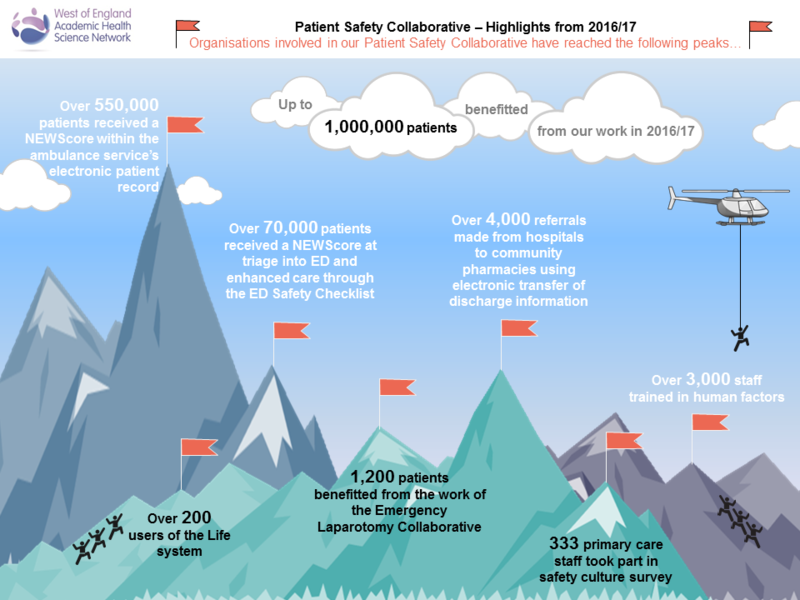 The West of England Patient Safety Collaborative is one of 15 Patient Safety Collaboratives across the UK which were set up after the Berwick report into the safety of patients in England. Priority safety areas are set by each individual collaborative to ensure they meet the local needs and have the biggest impact. Read the annual report for our work in 2016-17 — full report and appendixes. Download our plan on a page for 2017-18.